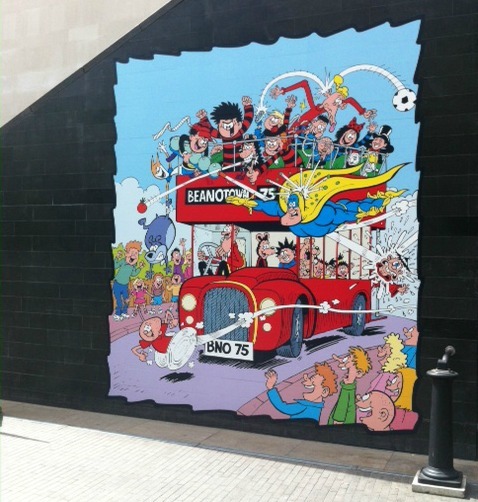 It’s one of the UK’s most loved comics – can you believe The Beano is now 75 years old? 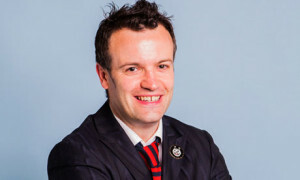 KidsBlogClub went along to the new Beanotown exhibition on London’s South Bank to talk to meet Mike Stirling, editor-in-chief of The Beano to find out what’s the secret of its success, and will Dennis the Menace ever start a blog? Mike, why do you think The Beano has lasted so long? How do you keep it relevant to kids of today? The Beano is all about having a laugh, and it’s all about naughty kids, and that’s something that all children can relate to at some point. Also, although we keep the same classic characters, we make a big effort to keep it up to date. And because so many of the characters have been around since the 1950s, you can share that with your grandparents, parents and teachers. There isn’t much of kids’ media that you can share like that. So we can tell stories that reflect the current times with these classic characters. We visit a lot of schools and often children are surprised to hear that their teachers also read The Beano when they were kids. We’ve branched out a lot – we’ve got a website and app so people can read it digitally and a free iPrank app which means you can do classic practical jokes but in a modern way. We try to keep the classic stuff that people have always loved but modernised as much as possible. Dennis and Gnasher, our most popular characters, are now in their 4th series on CBBC and the last one was seen by over 15 million viewers, so this brings The Beano to a new audience too. The really cool thing about The Beano for me is that I think we are the missing link between picture books and chapter books. I remember when I was at school and the books were often really dull and boring but my mum was happy for me to read The Beano and by the time I was a teenager I loved reading. The weekly serials get kids interested in the characters so they want to keep reading. Do you like it if readers send in ideas? Yes, we get hundreds of letters and emails and we read them all. We have to because we recognise that children put a lot of effort into their letters but also our readers know what’s funny and current and send in some great jokes. Sometimes that’s where we get our best and freshest ideas from. Recently we had a dog on the front cover printed in luminous ink, then one of our readers sent in a four page comic strip he’d created about Luminous Dog – it was so good and so funny! Our readers are so hardworking and smart and we love hearing from them. They think of a great idea first and worry about the consequences later, which is exactly what Dennis does – he’s all about the big idea, then he has to deal with what comes next. Have you got any writing tips for kid bloggers? One thing you can do is draw an outline of your brain and fill it in with the things that are important to you – the big things are the things that are really important, and the smaller things less so. We know what Dennis the Menace is interested in, but what are YOU interested in? It’s a bit like creating a Mind Map that you might have done at school. With writing jokes, I find it always works to do it with a group of other people. Talk about funny stuff with your friends and before you know it you will start to create a narrative. Think of characters and ask yourself what they would do and what would be funny. The best question you can ask is: What if? – What would happen if this character walked into this situation? What would happen if Dennis the Menace met a shark? And then you can say the most crazy stuff you like. Always remember that there’s no such thing as a bad idea. Even if you don’t use all your ideas straight away, maybe you can come back to them in the future. 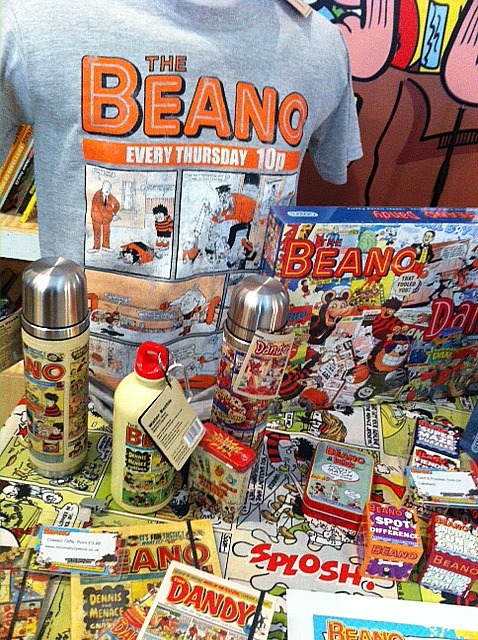 The Beano is now 75 years old, what do you think it will be like 75 years from now? I don’t know, for all we know it could be a hologram broadcast on the side of the moon! Maybe you’ll read it by clicking your fingers and the pages will appear, or maybe it’ll appear on the inside of your glasses and you can read it secretly in class. It may still be in a paper format but I can’t say for sure. It’s pretty amazing to have anything now that’s lasted 75 years in publishing. I do think that it will still be here in some shape or form because kids always like a laugh, and kids always rule, and that’s what The Beano is all about. So whether it’s digital, or being towed above us by spaceships, it’ll still be here even if I’m not! Will Dennis the Menace ever start a blog, and what do you think he would post about? Well it’s a really good idea which we’ve not already done so maybe! We’ve seen him playing computer games so he might do. I think Dennis would pretend to be doing his homework on the computer, but really he’s writing a blog for his pals to read. He probably wouldn’t blog very often, but it might be something we could do on our website, it’s a great idea. So if Dennis turns blogger you read it here first! 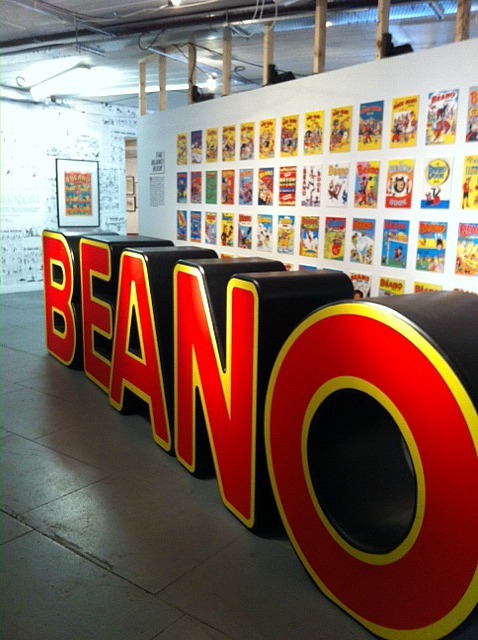 Beanotown is open now until 8th September at the Southbank Centre (under the Queen Elizabeth Hall) in London. It’s free to visit and contains lots of fun things to see and do. The Beano is out every week and available from all good newsagents and online here. KBC visits The Science Museum - and so can you!